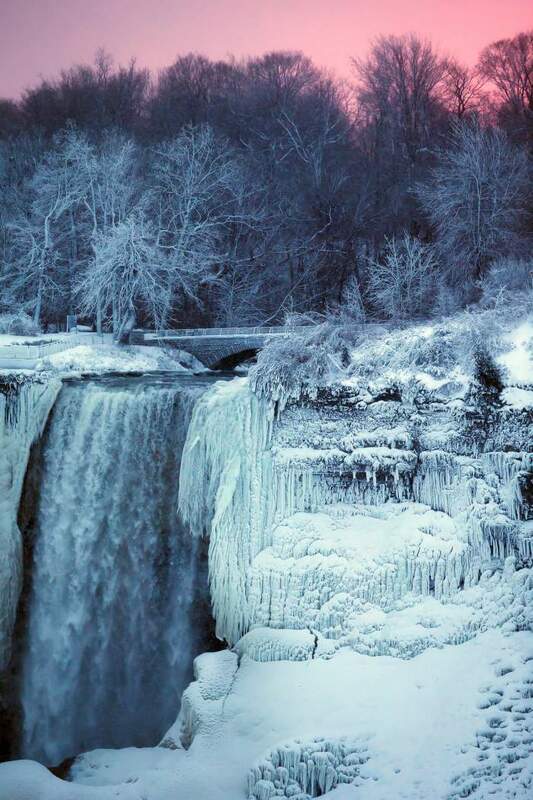 The Frozen Niagara Falls Look Like Someone Has Cast A Magic Spell On It: In most parts of America, the winter storm has blown almost all the parts of the US as it freezes almost everything. 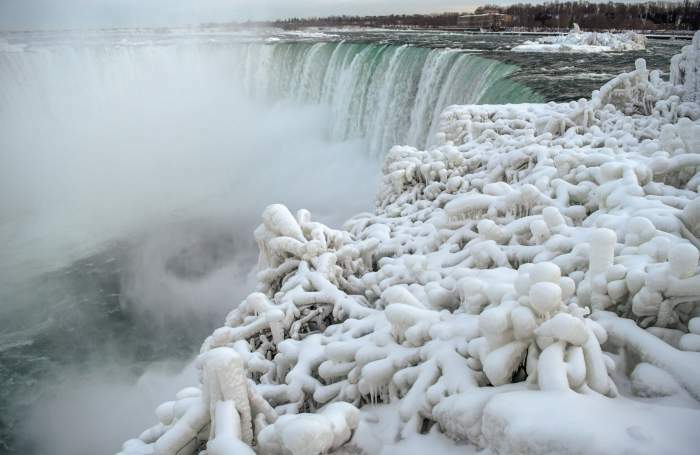 And for our surprise, the sub-lowest temperature has switched one of the 7 wonders of the world, the prestigious Niagara Falls into a Winter Heaven. 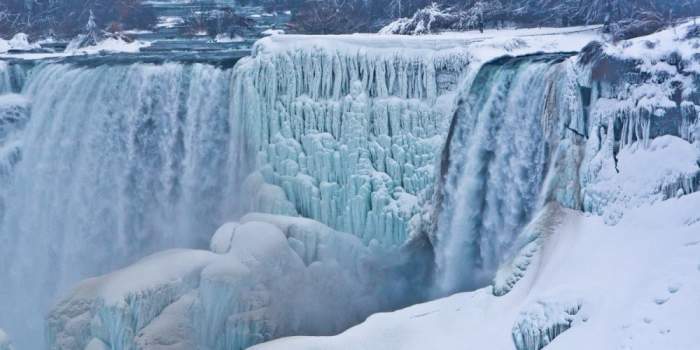 Many parts of this majestic waterfall are in a frozen state and the sight is simply breathtaking. It seems like the never stopping gushing waters have taken a pause for a while. 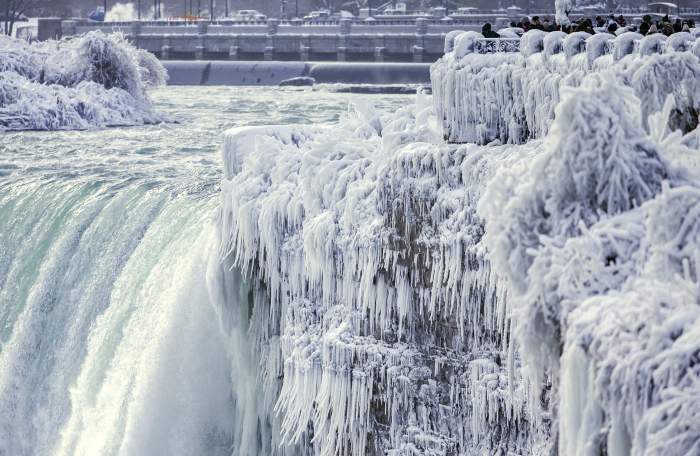 The huge blocks of frozen water and the unique and spellbinding ice formations on the rocks and nearby lush vegetation is making Niagara Falls looks like a picturesque moment from the Disney movie ‘Frozen’. With the drastic fall in temperature to as low as -35 degrees Celsius, and with the majority deciding to stay indoors, some daredevil people who had stepped out to explore the city have got their bonus. 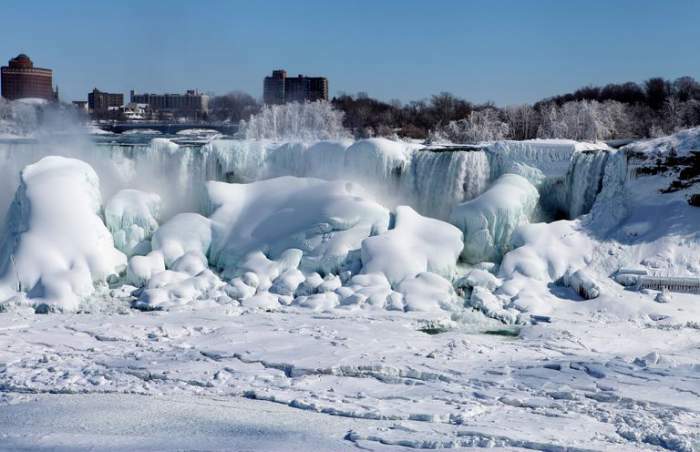 Seeing these incredible pictures you will feel like heaven is here only and surely you don’t wanna miss this spellbinding sight of the frozen Niagara Falls, you must plan a visit to the US ASAP! Best Time To Visit: Summer is the best time to visit Niagara Falls. 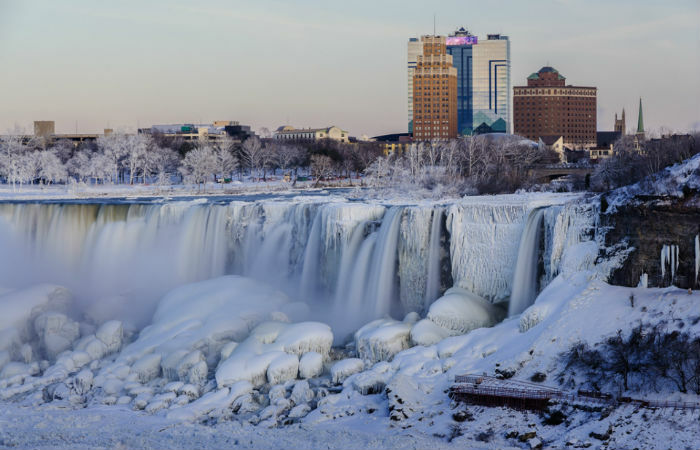 How To Reach: Buffalo-Niagara International Airport is the nearest airport which is about 30-40 minutes away from the falls, at a distance of about 27.5 miles (44 km) from the main city. There are many taxis and shuttle services from there.